Wednesdays: Half Off Specialty Drinks! 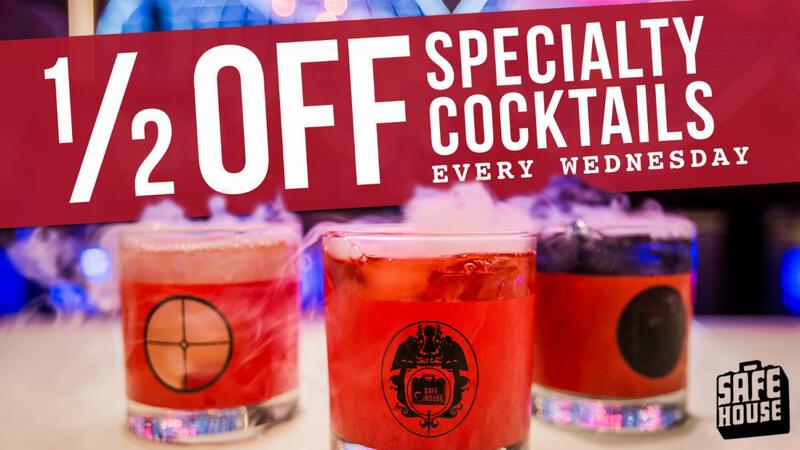 Every Wednesday the SafeHouse has a special mission for you: Gain entry and receive half off all of our specialty cocktails! This includes the drink named after the Windy City: Agent CHI! Don't miss out on these diabolical deals- they begin at 4 pm and go all night long!